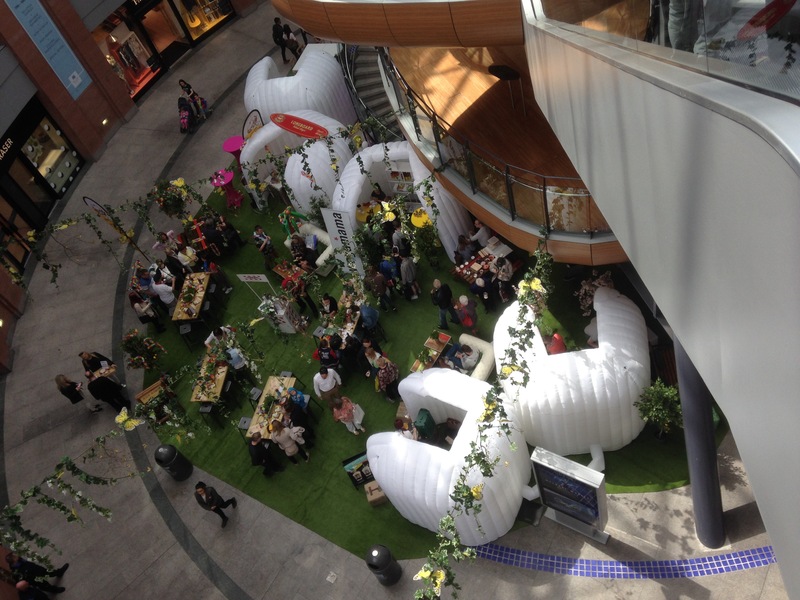 What have the Ulster Rugby players and food festival have in common? They were both at Victoria Square in Belfast today. 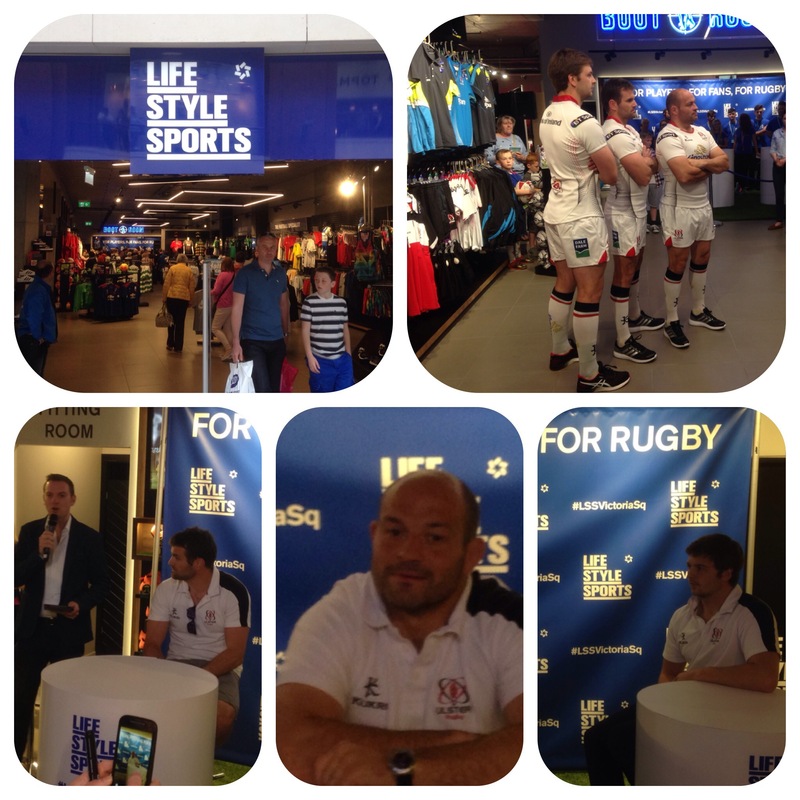 The Ulster and Irish players Jared Payne, Rory Best and Ian Henderson were at the Grand opening of the Flagship Lifestyle Sports Store in Victoria Square. All three are Ulster and Irish players, Rory being captain of both, Jared hailing from New Zealand and Ian aged 23 all took time out to answer questions before getting ready for big Pro 12 semi final next week…..Good luck guys!!!! 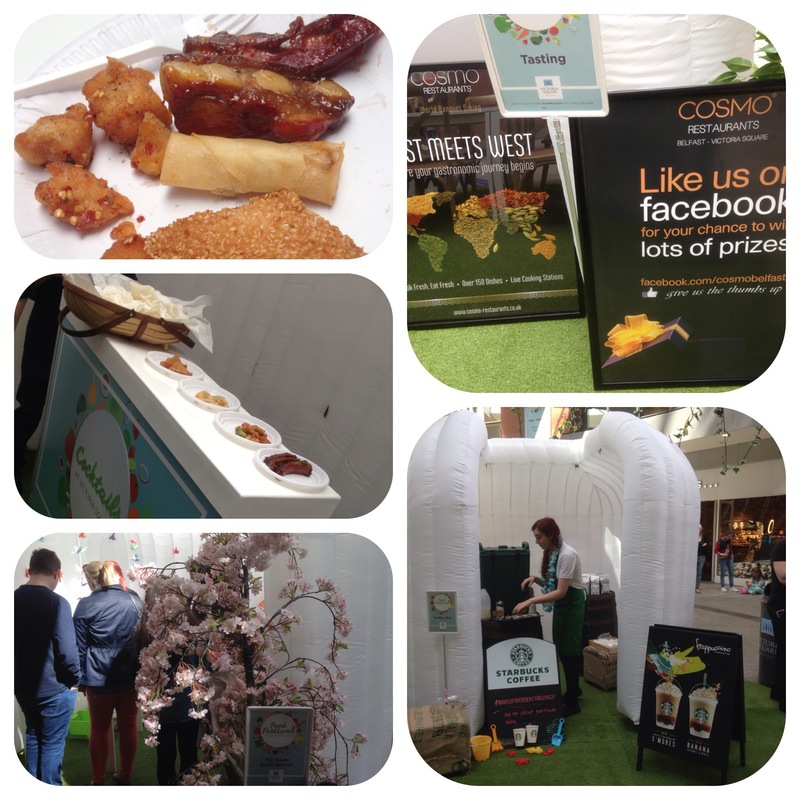 The food festival was on the lower ground floor and made of two sections. 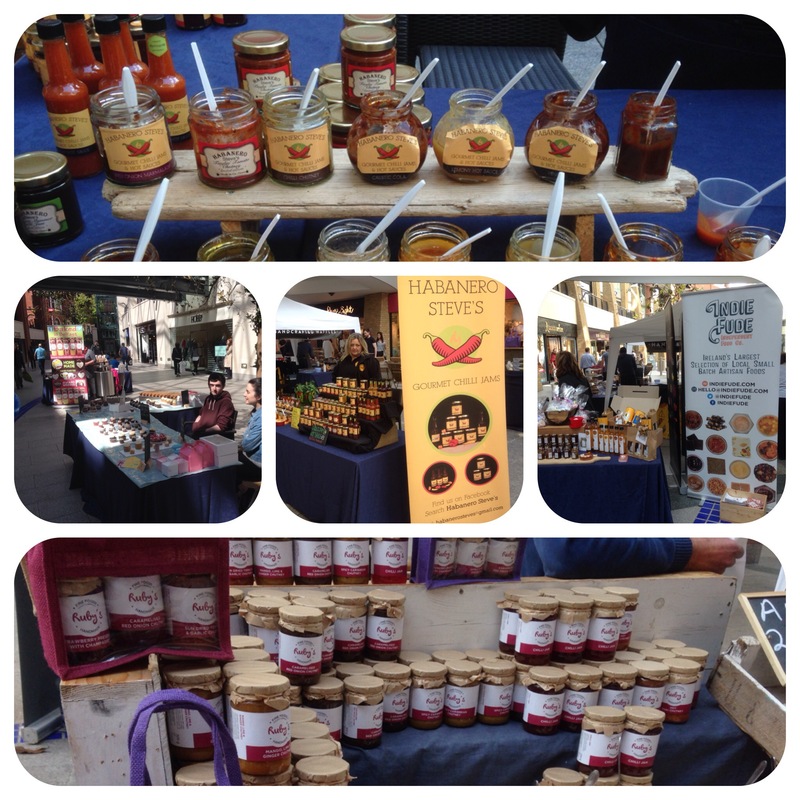 The first comprised of mini stalls serving up samples of pickles, preserves and sauces. My favourites here was the Habanero Steves gourmet chilli jams, which did jams in increasing strengths and hot sauces (I got the Venom one and am looking forward to it!!) and Ruby’s Pickles. The second was a mini “Michellin Man Tent City” which had eateries from Vic Sq serving up samples off their menu. 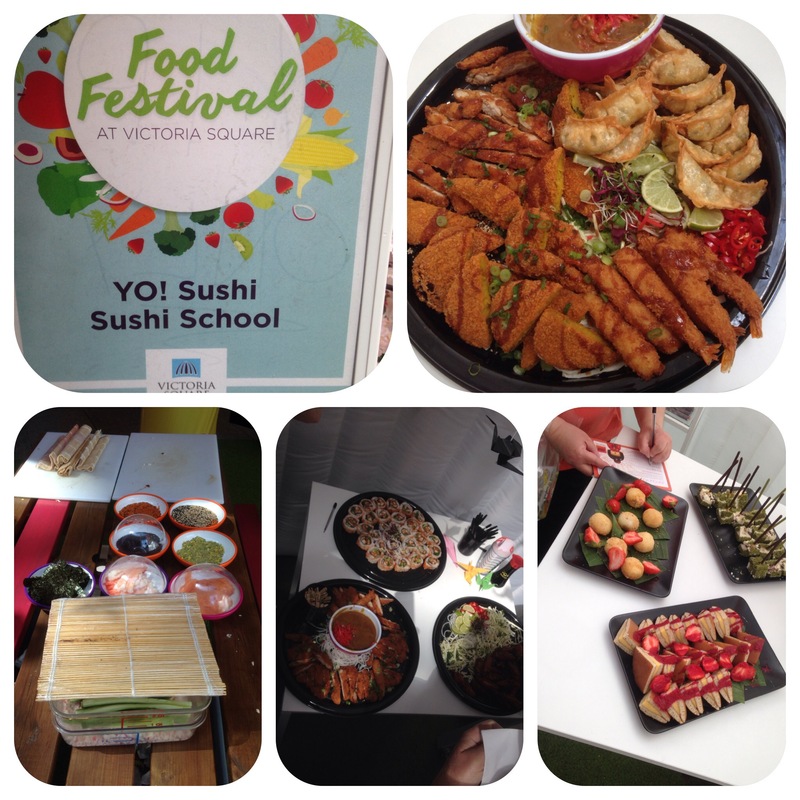 The first stop was Yo Sushi for a range of delicious Sushi (salmon,mackerel,tuna,crab and prawn), chicken and Gyoza as well as desserts. Chef Ryan was doing Sushi making classes but I missed them!! 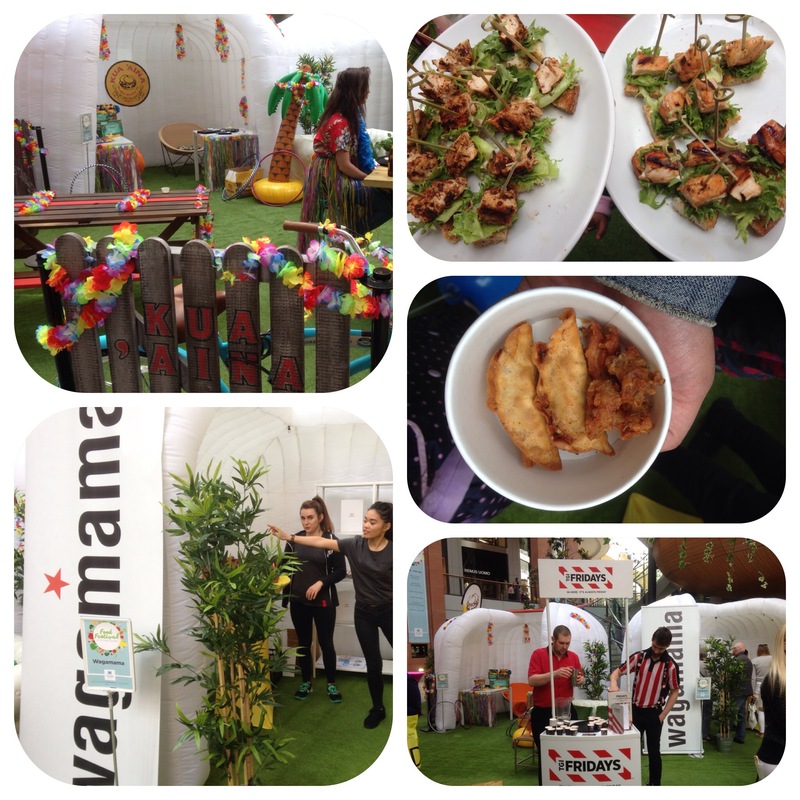 Still in the Orient it was the turn of Wagamama to produce up Gyoza, chicken, fresh fruit juice and sake (rice wine). For the very exotic experience of surf and colour,the Hawai’in Ku ‘Aina served up chicken teriyaki and craft beers. TGI Fridays were sampling cocktails and for the tea total folk Starbucks had coffee and cookies. Finally the global Cosmo plated up ribs, prawn toast, prawn crackers, chilli chicken and Spring rolls. There’s a great buzz about the place and fantastic atmosphere. I certainly ate “around the world” and you can do today and tomorrow. There are some great offers to be had in the restaurants taking part.